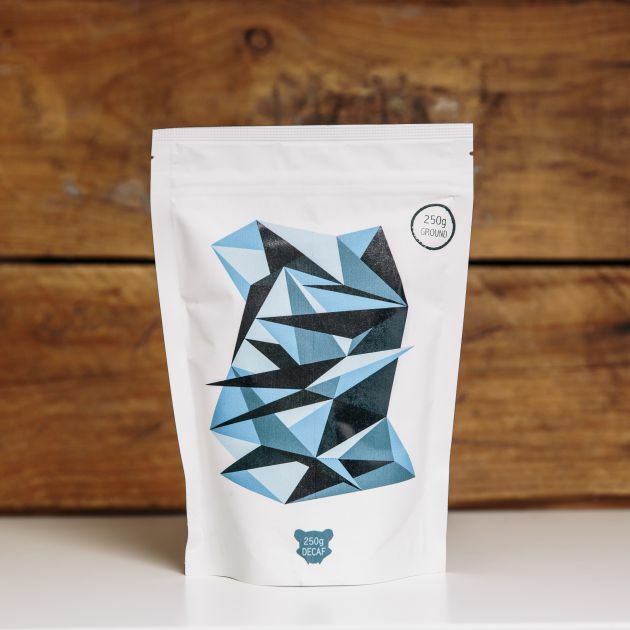 At Bear Bones Specialty Coffee we have a range of blends and single origins to suit any cafe’s needs. We source our beans from around the world, and work hard to only use the best. Part of this process is ensuring that our green coffee is delivered in GrainPro bags. Coffee is a fruit and as with all food products, fresh is best. GrainPro bags protect the green coffee during shipping from it’s origin, so that we retain as much flavour as possible. A such, quality control is very important and we maintain a number of procedures on our end to ensure that we are able to supply a consistent product. This includes using a moisture meter to asses our green stock upon arrival, checking bean densities, and using a refractometer to measure our coffees and their recipes. It is important for us to control as many parameters as possible throughout the process, and testing and measuring on a regular basis is a big part of this. We also firmly believe in the practise of post-blending, and roast our blend components individually before combining them. This gives us more control when crafting our blends, and allows us to maximise the potential of every origin in the mix. Our coffees are roasted to achieve full flavour and balance in the cup and can be enjoyed both black or with milk. This coffee represents everything we love in our cups at Bear Bones. Well balanced, fruity, and deliciously sweet, Cloud Nine is sure to put you there after your first sip. With a combination of beans from Ethiopia, Kenya and Colombia this coffee offers tasting notes of stone fruit, blueberry and caramel. Drinking coffee shouldn't just be about routine, we believe it is an experience that has the potential to completely turn your day around. The One-Eighty blend has been designed to do just that. Smooth and flavoursome with a well-rounded mouthfeel this blend is a combination of beans from Brazil and Colombia offering tasting notes of nuts, sticky fruit and chocolate. The Drop has been crafted for those who prefer a lower acidity in their cup and are instead seeking a rich, full-bodied brew. With its classic flavour profile this blend is uncompromising and memorable. Consisting of beans from Peru and Colombia, The Drop offers tasting notes of stewed fruit, caramel and chocolate. We operate on the belief that fresh is best and select our single origin coffees seasonally from a range of top tier beans. Our goal is to showcase a variety of coffees from around the world with a focus on representing each origin with care. These are offered in both filter and espresso roasts. Our decaffeinated coffee is sourced from Columbia using a Swiss Water Method. That means there are no nasty chemicals used to remove the caffeine.